It seems Ash Mingham is a man on a mission as of late with him looking to fight at every opportunity given to him. He has a fight lined up on Feb 9th against the only man to beat him and rather than taking time off he wants to get straight back into the cage and face another tough test. His last fight was against man mountain Taniform A Tala. From start to finish both men went all out to get the win but in the third round Ash took over gaining the TKO win. 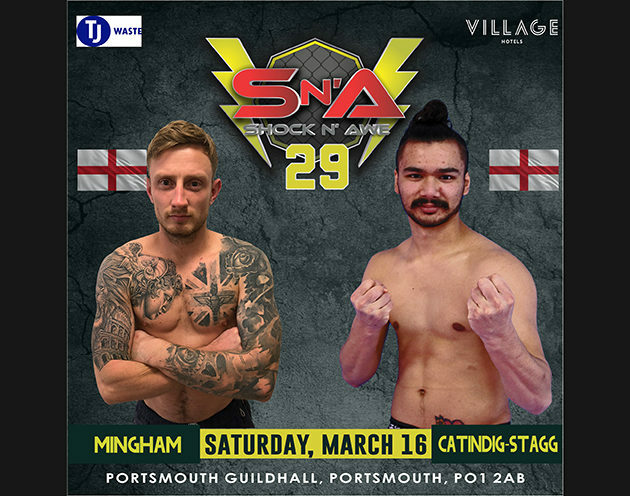 Standing across from him will be unbeaten Riccardo Catindig-Stagg fighting out of Rice Champ Martial Arts. 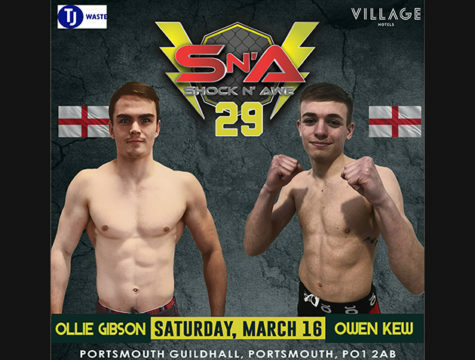 Riccardo has a wealth of martial arts experience and he will be looking to extend his unbeaten record when he faces Portsmouth’s very own Ash Mingham. Can Riccardo Silence the home crowd or will Ash be celebrating in the Shock n Awe cage once again?